Joy Allison Taylor is the popular American radio commentator and television host who is best known to host Fox Sports 1. She works as moderator for the famous Fox Sports 1 studio show Skip and Shannon Undisputed along with hosts Skip Bayless and Shannon Sharpe. Her passion for sports as a sportscaster is clearly visible on screens but have you wondered how passionate she's in her real life? Is she a happily married woman or still an eligible bachelorette? Let's dive in to find everything about the reporter. The former CBSSports.com reporter, Joy Taylor is no longer single as she is already bound in a holy matrimony with her longtime boyfriend Richard Giannotti. The pair tied knots on an amazing day, Valentine's Day back in 2016 in a grand ceremony at Biltmore Luxury Hotel, Miami, Florida. Both bride and groom looked ravishing and they never looked so happy and cherished. This amazing pair met while attending a conference together and both were love struck the moment they first laid eyes on each other. And after dating for a couple of years, the pair finally made down the aisle and ever since they have been inseparable and madly in love. The couple is still waiting for the right time to start a family and hence, doesn't have any children together. The pair is still so much in love and we can witness some of that from their Instagram. They are Such relationship goals!! 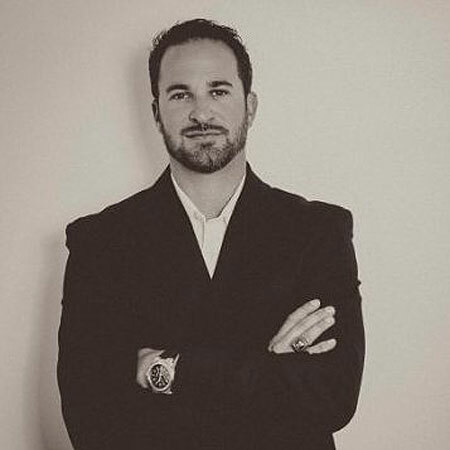 Born (August 09) and raised in Florida, the handsome Giannotti is the President of Athlete Asset Management working for Global Wealth Management. He's worked there for almost 3 years since 2014. Prior this, he was a football player who played for Southern Maryland Blue Crabs for 5 years and also for St. Louis Cardinals from 2007 to 2008. He's a BBA graduate from the University of Miami, Florida and now he's a loving and caring husband to his gorgeous wife, radio and TV sports host, Joy Taylor. Here's a video of Joy Taylor going exclusively telling 10 Things about her with Kristen Hewitt. Must watch! All in all, we wish this gorgeous couple a blissful married life and hope they soon welcome a lovely new member in their family.